Picnic Week will be here in just a week, between 17th to 23rd June. 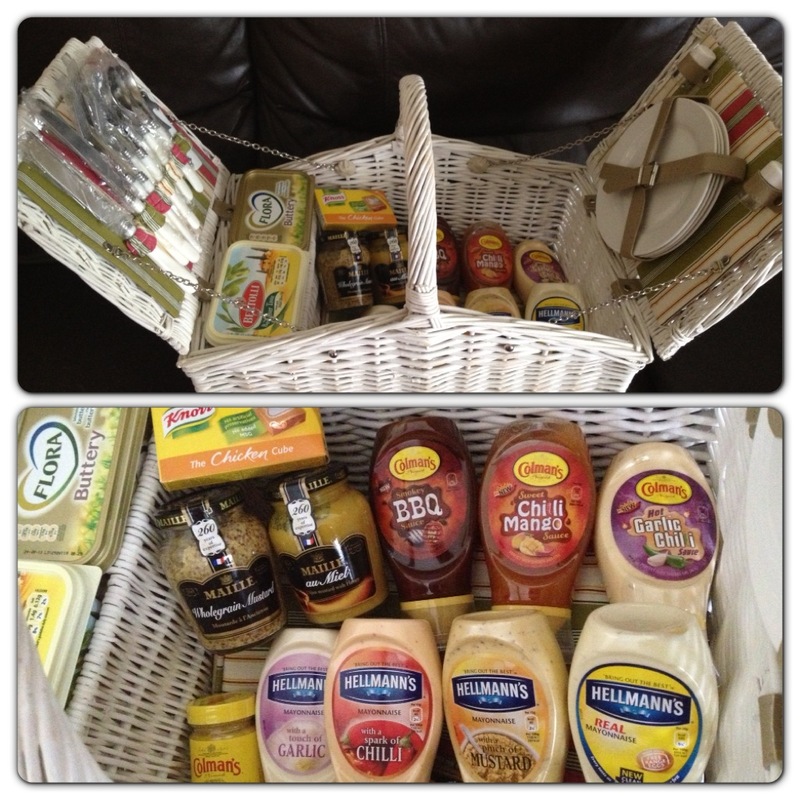 I was sent a lovely hamper by Unilever Kitchen to take part in a Picnic Challenge. In the gorgeous picnic basket, there were flavoured Hellman’s mayonnaises, Maille mustards, Colman’s new sauces, Bertolli spread, Flora Buttery and Knorr Chicken Stock Cubes, and I was asked to create a picnic recipe using the products provided. I was spoiled by choice, I tried to incorporate all the ingredients in a single recipe, but it would have been impossible. Since we wanted to try as many products as possible, I came up with a few recipes instead. For our family, a good picnic needs several bite-size dishes, perfect for adults and kids, easy to make and full of flavour. For our picnic, we had a selection of sandwiches, pieces of chicken and a fruity pear dessert. 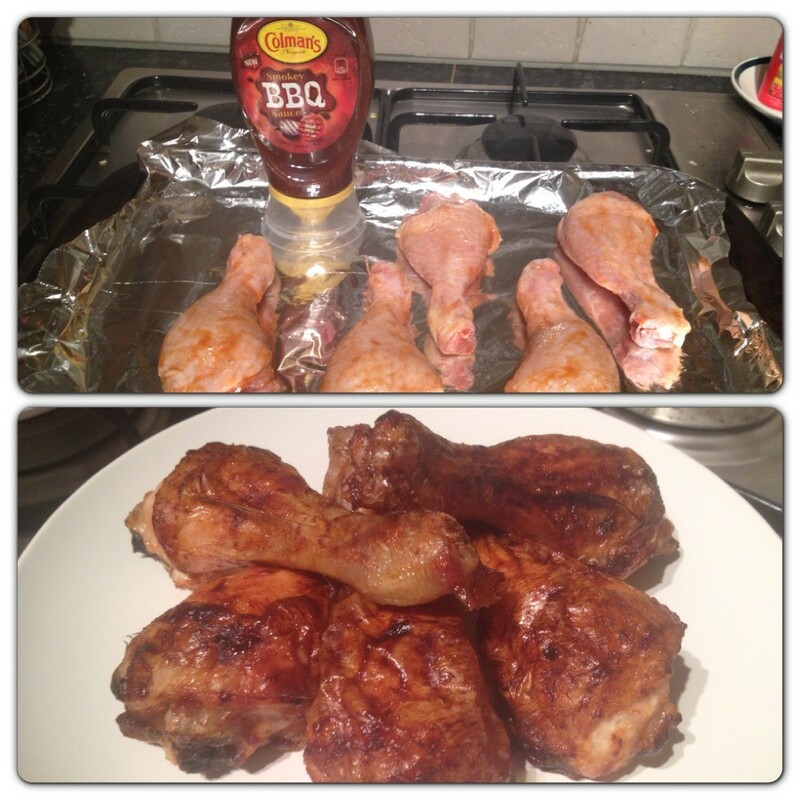 Coat raw chicken drumsticks with Colman’s BBQ Sauce, leave it to marinate for a few minutes, then cook in a pre-heated oven for around 30 minutes at 180C fan (200C) until the juices run clear. While the chicken was cooking, I moved on to the next recipe. 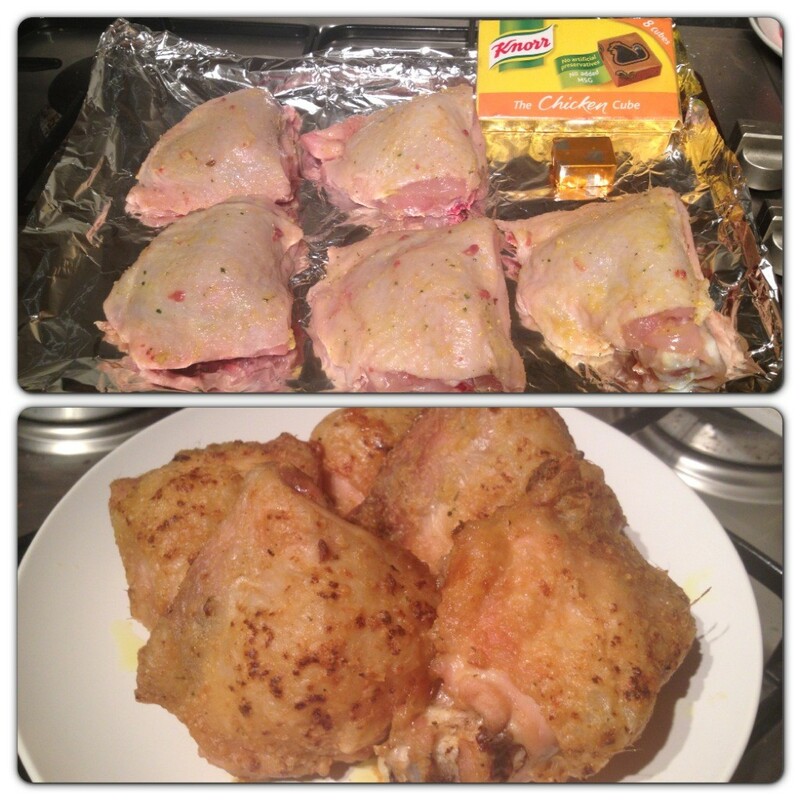 Mix Knorr Chicken Stock Cube with olive oil to make a thick paste, then rub it into the chicken skin and put it to cook in a pre-heated oven for around 40 minutes at 180C fan (200C). Heat the oven to 180 C fan (200C). Sautee the onions in a large knob of Bertolli spread until soft and turning golden. Add the garlic and cook for a minute or two. Add handfuls of spinach leaves and cook until wilted. Switch off the heat, add the beaten eggs and crumbled feta cheese, allow it to cool. Melt a spoon of Flora Buttery, and brush a sheet of filo pastry with butter, fold the filo pastry in half and brush all over with butter again. 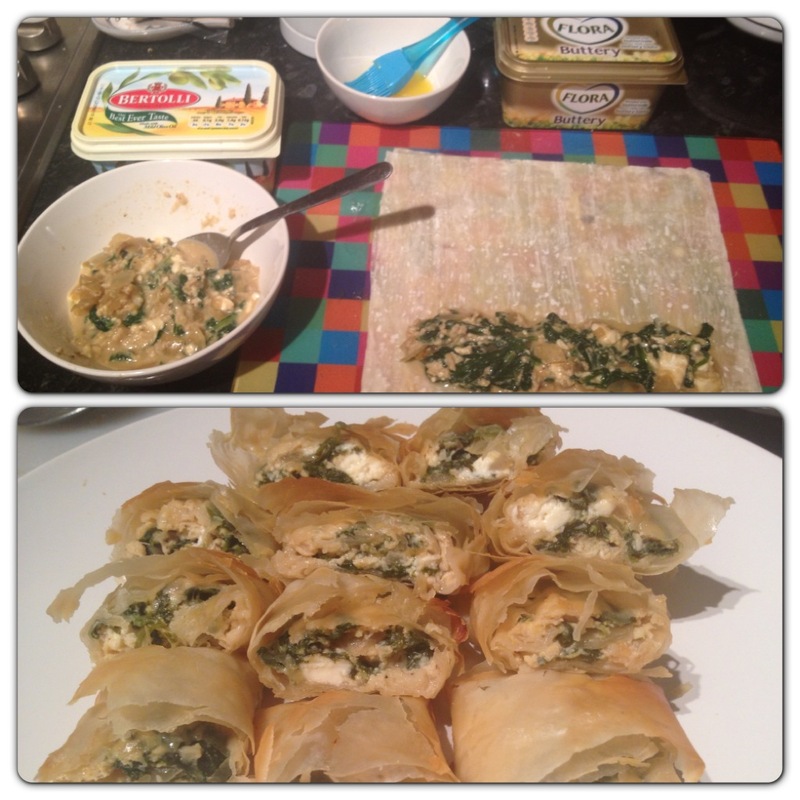 Place a few spoons of the spinach and feta filling in one of the corners of the pastry and roll it. Repeat with the other sheets, bake in the oven for about 15-20 minutes until the filo pastry is crisp and golden. Allow it to cool for a few minutes before cutting into squares. Mix Hellman’s Mayonnaise with a Touch of Garlic with shredded chicken, then add to a bed of salad leaves on a wrap and a squirt of Hellman’s Mayonnaise on top. Butter the bread with Bertolli Spread. 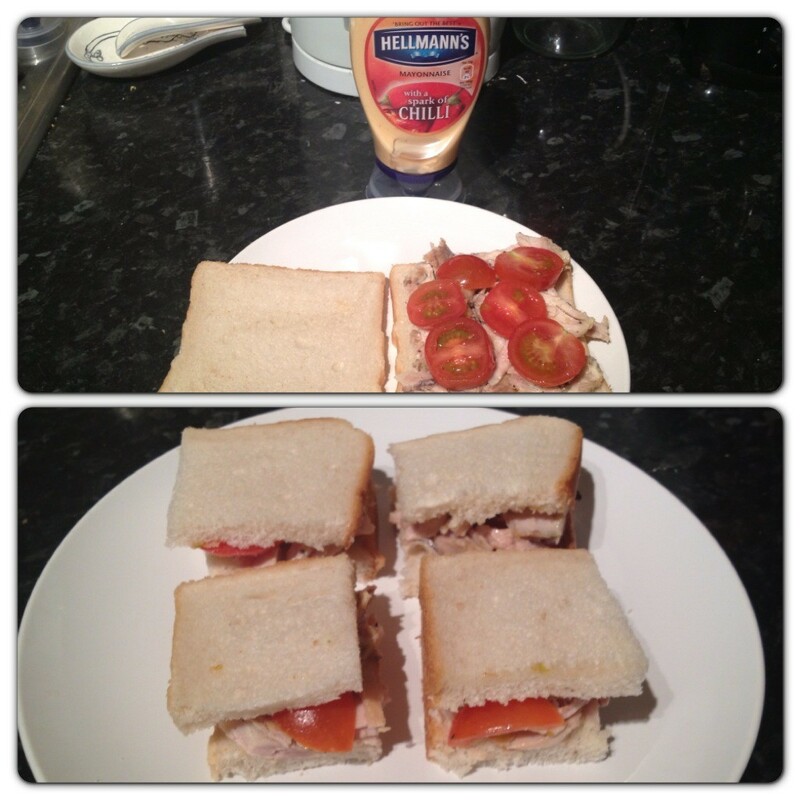 Mix Hellman’s Mayonnaise with a Spark of Chilli with shredded chicken, then add sliced cherry tomatoes on top of the sandwich. Heat the oven to 180 C fan (200C). Heat up the pear, cinnamon and sugar in a saucepan over medium heat for a couple of minutes until the pear is soft, if needed add a few spoons of water, take off the heat and allow it to cool. Melt a spoon of Flora Buttery, and brush a sheet of filo pastry with butter, fold the filo pastry in half and brush all over with butter again. 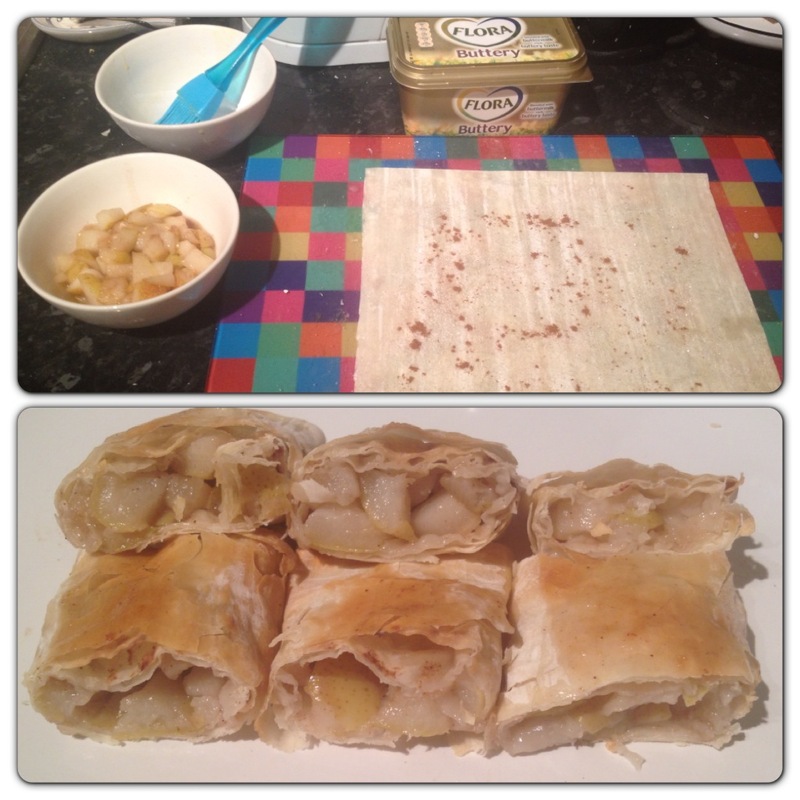 Place a few spoons of pear filling in one of the corners of the pastry and roll it. Repeat with the other sheet, bake in the oven for about 15-20 minutes until the filo pastry is crisp and golden. Allow it to cool for a few minutes before cutting into squares. The products were provided free of charge to take part in the Picnic Challenge. However the opinions expressed are honest and my own. 18 Responses to "Recipes for National Picnic Week #picnicchallenge"
Really pleased the weather’s cheering up so I can try out some of these – yum! 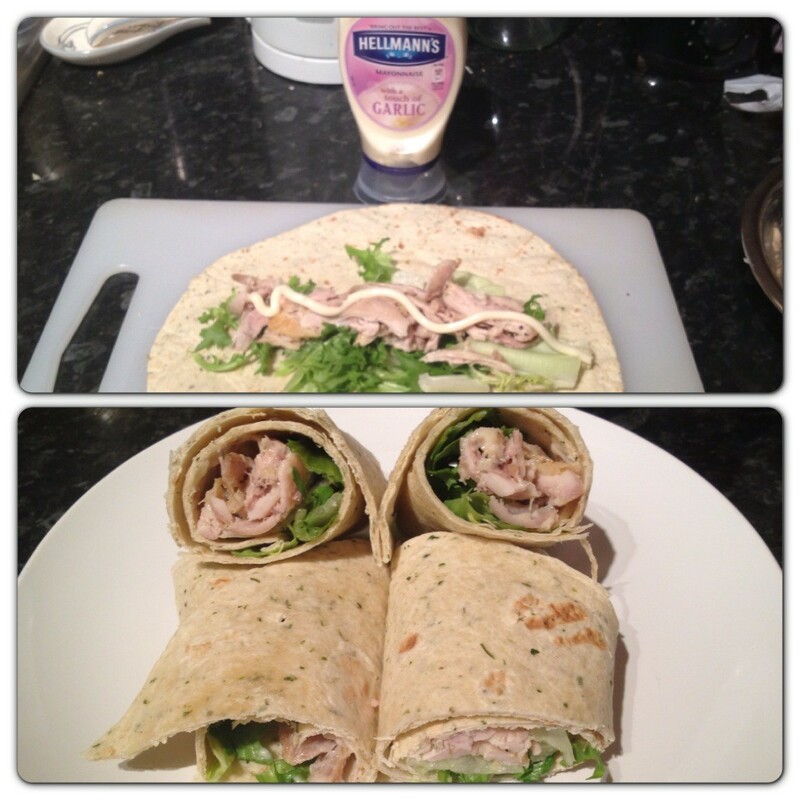 I love the garlic chicken mayo wraps perfect for packed lunches too! ooh lovely. I can’t wait for the Summer now. Those look great, makes me want to go on a picnic now.